For a bit of fun, have a read through these interesting facts that you may not have known about plumbing… Who knows when you’ll need these facts? 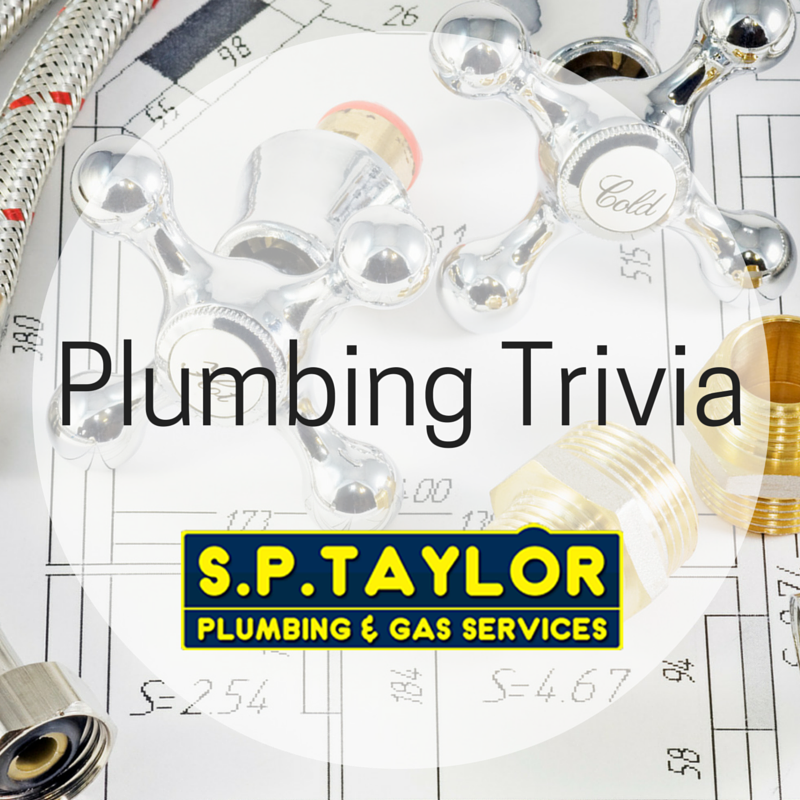 The word ‘plumber’ is derived from the Latin word for lead, which is ‘plumbum’. Lead used to be the primary material for plumbing systems carrying water into cities and towns until it was found to be poisonous. Do you know why some manhole covers are round? A round manhole cover cannot fall through its opening, whereas a square manhole cover could be turned diagonally and fall through. An average person spends three years on the toilet… better get some good reading material! While rudimentary showers can be traced throughout India, Egypt and Mesopotamia, the first real shower was first invented by the Greeks around 300 B.C. Ancient Greek athletes would freshen up within the stadiums using a piped in water supply that would spray down through shower heads shaped like the faces of boars and lions. The most recognizable plumber in the world is Mario, the Italian-American plumber who lives in the Mushroom Kingdom… he is one of the most famous characters in video game history, too. The toilet was invented by English writer Sir John Harington, who created the first design of the flush toilet in 2596. However, plumber Thomas Crapper, who founded Thomas Crapper & Co in London, popularised the invention in the 1880s and developed many of its staple features. There are two different types of plunger – a toilet plunger and a sink/shower plunger. Toilet plungers are narrow at the bottom to fit into the toiler while sink/shower plungers are flat. In Japan, some urinals have voice activated flush mechanisms. According to Wikipedia, these urinals respond to as many as 30 different languages and several terms including “fire”. More than 40,000 litres of water is wasted every year by households whilst waiting for the temperature to change. The myth that water travels down the drain clockwise in the southern hemisphere and counter-clockwise in the northern hemisphere isn’t true – the direction of the waterflow depends on the position of the bowl’s rim jets. For all of your plumbing and gas needs, call us on 01922 474313 or pop into our showroom at 153 Lichfield Road, Rushall Walsall WS4 1HA.